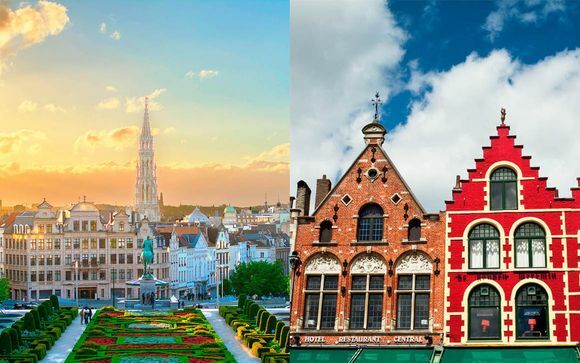 Our Brussels travel guide for unforgettable holidays up to -70% off To take advantage of these offers, join now for free! Discover our Brussels Travel Guide. All you need to know for Unforgettable Holidays. Advices, best locations, itineraries. Find Hotels 4 & 5* up to 70% Off. Endless history, delicious cuisine, and bursting with life and energy, if the Belgium capital isn’t on your bucket list, then it certainly should be. Boasting a population of 1.2M, Brussels may not always be top of the search lists when it comes to weekend getaways, but its medieval charm draws in thousands of tourists each day. The gothic vibe of the city spans from the 17th-century architecture, and if art and stunning architecture is your thing, it’s the perfect place to be. From museums to galleries, enjoy getting lost in the culture this stunning city has to offer. 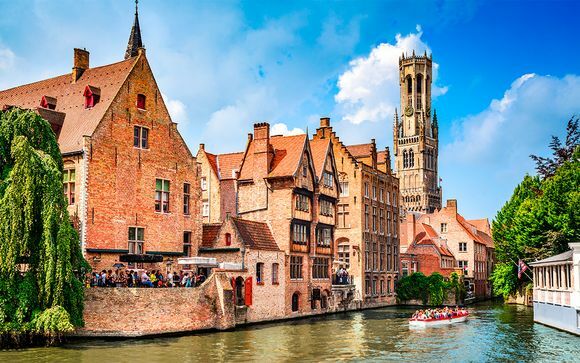 Home to beer, waffles and who could forget, chocolate, Brussels offers an abundance of tourist attractions, suitable for both family breaks, and romantic couple getaways. 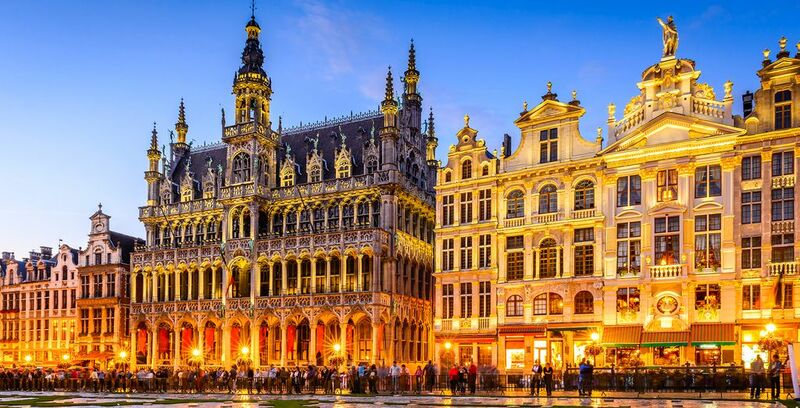 Spend your days taking in the magnificent sights of the Grand Palace, book in for a traditional Belgium beer tasting tour, check out the markets, or explore beautiful Brussels Park; the choices are endless. 1) Grand Palace – At the heart of the city, the Grand Palace is the central square surrounded by Guildhouses, restaurants and shops galore! As you enter the square, look up and admire the beautiful architecture (and see others do the same! ), before kicking back with a beer and some waffles in one of the many cafes or restaurants overlooking the square. 2) Gothic Hôtel de Ville (with bell tower) – Situated on the west side of the Grand Palace, the magnificent town hall features a great spire tipped with St Michael slaying the devil. It’s a must-see. 3) Maison du Roi - Maison du Roi means ‘King’s House’ in French, but translates to Breadhouse in Dutch. It’s a stunning building, which includes the Musée de la Ville de Bruxelles city-history museum. 4) Musée Royaux des Beaux-Arts – Showcasing the best in Belgian art, this features some of the earliest Flemish oil paintings, continuing to symbolism and more. Some are truly haunting – a must-see for any art lover. 5) Mini Europe – Mini Europe is a miniature park, which features reproductions of popular European Union monuments. Take the kids for a day out, or just go and explore yourself! 6) Atomium – A spectacular and very futuristic looking landmark building. It was originally sculpted in 1958 for the purpose of the Brussels World Fair, but now operates as a museum. 7) Manneken Pis – This infamous sculpture, which translates into ‘lil piddler’, is exactly how it sounds, and features the sculpture of a young boy urinating into the fountain base. 8) European Quarter – A hub of the best museums, theatres and parks all in one area. Catch a show, check out the science museum or just relax with a drink after seeing the huge logo on the side of the European Union building. 9) Rue Antoine Dansaert – Looking for some retail therapy? This shopping street features chic boutiques, cafes and bars, all hidden away from the main pedestrianised and ‘high street’ area. 10) Or, if you want to take it all in at once, jump on a hop-on, hop-off bus, which takes you on a whistle-stop tour of the city. You can even pick up a Brussels card, too, which gives you access to 39 different tourist attractions, ranging from 25-59 Euros, depending on what you’re after. The perfect weekend getaway, Brussels is beautiful in all seasons, but especially enchanting in the winter. Weather is pretty standardised here – it’s warm in summer and cold in winter, but can rain at any time of the year. July and August see averages of mid-20s, with average rainfall of 50mm in the summer months. Winter can be very cold, with an average rainfall of 50m. Snow can sometimes fall, but isn’t a common occurrence as the city is a few degrees warmer than other areas. With peak season falling during the main summer and winter months, the best time to visit is between March and May, and September to October. Attractions are likely to be cheaper during this time, too. From the UK, a flight can take up to an hour, and the Eurostar is around a 2 hour trip directly from London. Paris to Brussels is 3.5 hours driving, or 1.5 hours on the train or Eurostar. From elsewhere in Europe, such as Italy or Spain, it’s around a 2-hour flight. From further afield, a direct flight from North America is approx 7 hours. A passport is required to travel into the country, but when travelling from overseas, no visas are required. EU nationals can stay for as long as they like, but must obtain a residence permit if they wish to stay longer than 3 months. US citizens can also stay for the same length of time (90 days) for tourism purposes. 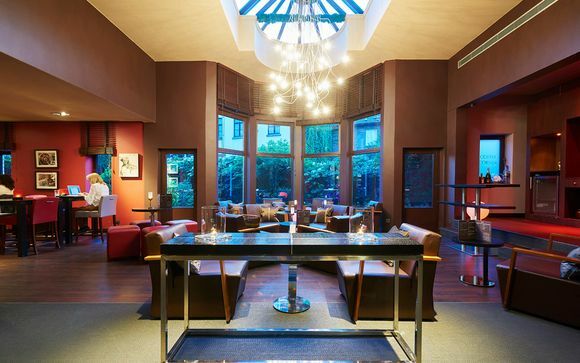 From modern, minimalist hotels, to classics with plenty of character, there’s quite a selection of Voyage Prive hotels in Brussels. 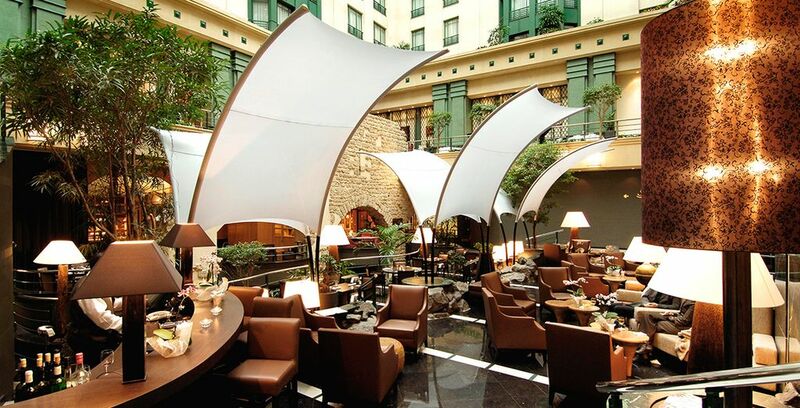 If you’re after high-class, the Radisson Blu Royal Hotel is a 4* palace in the heart of the city. Art Deco interior where you can kick back and enjoy a pre-dinner cocktail, Michelin star restaurant and just a short walk to The Grand Palace, this hotel is luxury defined. 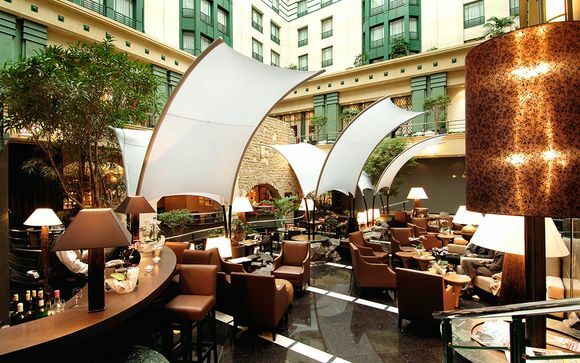 At the Hotel Pullman Brussels, you get to rest and rejuvenate close to the Gare du Midi train station. So transport is easy, and explore all the sights within walking distance. With clean, fresh rooms, you can enjoy the on-site restaurant and bar, too. 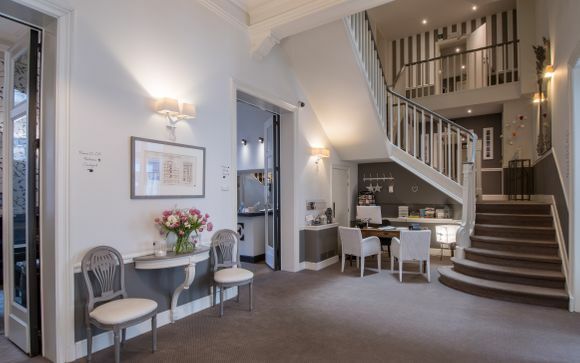 The Hotel Bloom is a 4* bright and spacious getaway, around a mile from the Grand Palace and a short walk to the city’s beautiful Botanic Gardens. With rooms offering panoramic views of Brussels and modern, colourful décor, it’s the perfect no-frills option. Feb/ March – The Animation Film Festival which features over 300 screenings. May – Belgium Pride takes place in the capital, hosting huge street parties, music and plenty of dancing. July 21st – Belgium Independence Day, which is celebrated across the country, marking independence from the Netherlands in 1830. August - Brussels Summer Festival runs for 10 days each August, offering up music and art at the Place des Palais. August - Brussels Flower Carpet. Every 2 years, the Grand Palace becomes home to beautiful flower beds of colour, set up by over 100 volunteers. Running since 1971, it measures 74m long and 24m wide. November – January – The world-famous Brussels Christmas market has over 2km of stalls and is perfect for a winter break. Watch out at pedestrian crossings, as unlike in other countries, pedestrians don’t have the right of way, especially at those with traffic lights. The city is bilingual (French and Dutch), but many may prefer to speak English, especially in the more popular and tourist-heavy areas. Dial 112 for emergency services. There is a tourist office, which has counters at popular attractions, including the Grand Palace and 2 Rue Royale. The weather can be unpredictable, so always pack a jacket and umbrella, even in the summer. Check the forecast too, of course! If the weather is bad, travel with ease via the city’s metro, tram and bus system. Enjoy walking and sightseeing if it’s dry. And try not to leave it until the airport either, try to pick some up whilst exploring the old town, it’s likely to be more authentic, and cheaper, too. The humble Euro is all you need to travel to Brussels. +1 hour ahead of GMT. French and Dutch, mostly, but you’ll find all the touristy areas will speak perfectly good English. Flights travel directly into Brussels International Airport, and Bruxelles Central is the main train station. Make sure you pack waterproofs, especially if going in the cooler seasons. Comfortable footwear is essential for all that exploring, and loose clothing if you’re planning on indulging in all the delicious food! To fully enjoy and take in Brussels, a long weekend is the perfect amount of time. Like many other European cities, you’ll be able to see all the attractions in the space about 3 days. Discover our Brussels weekend breaks. When it comes to food, nothing says indulgence quite like Brussels! Muscles and French fries (or Moules Frites), waffles, chocolate, and beer are all rife in the city, and must be sampled if you’re visiting. Another popular dish is the Carbonnades Flamandes; a hearty beef casserole which is made with beer instead of the traditional red wine. A city bustling with history, art and culture, get the kids to take this all in whilst you’re there. If you have younger children, try the various museums, the Comic Strip Center and the Chocolate Factory Tour. How to travel to Brussels with your pet? A health certificate is all that’s usually needed for pets to travel to Brussels. Brussels airport states any animals coming in must weigh up to 5K (including any travel cages), but always check with the airlines to be sure. Budget: What budget to plan? Like any other European city, Brussels can be done on a budget if you steer clear of the heavily touristy spots. Mostly, the food and drink is reasonably priced, but save money by pre-booking breakfast at your hotel. Also, if you want to partake in a spot of sightseeing, purchasing a Brussels Card would be beneficial. 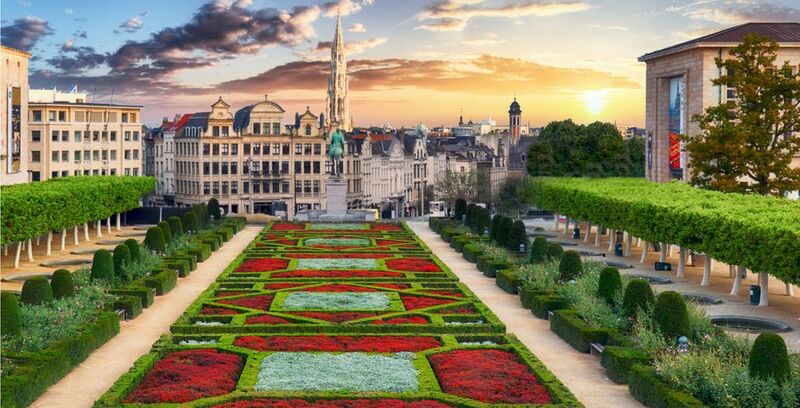 As a city, Brussels greenery can be found in the luscious parks, but it’s mainly beautiful buildings and monuments. If you want to know more about our travel guide, please visit this page. 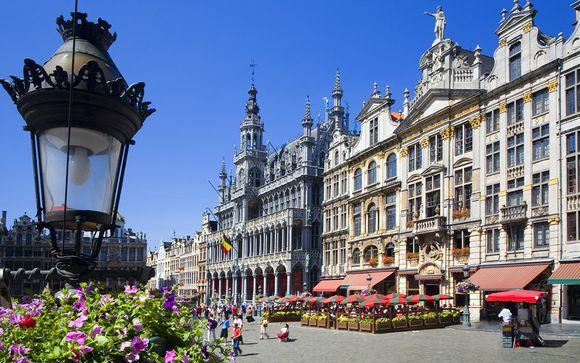 Discover our travel deals to Brussels: holidays to Brussels, weekend break to Brussels. 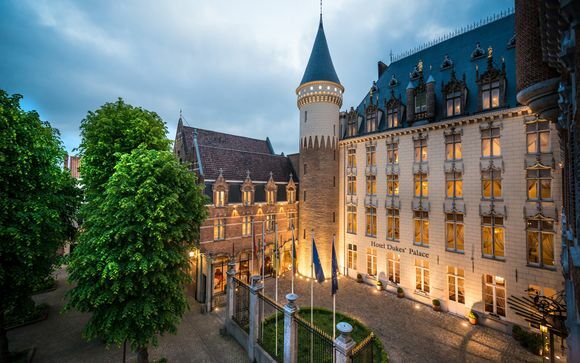 Discover our travel deals to Belgium: holidays to Belgium, great deals to Belgium, last minute holiday deals to Belgium, stays in Belgium, weekend breaks to Belgium.